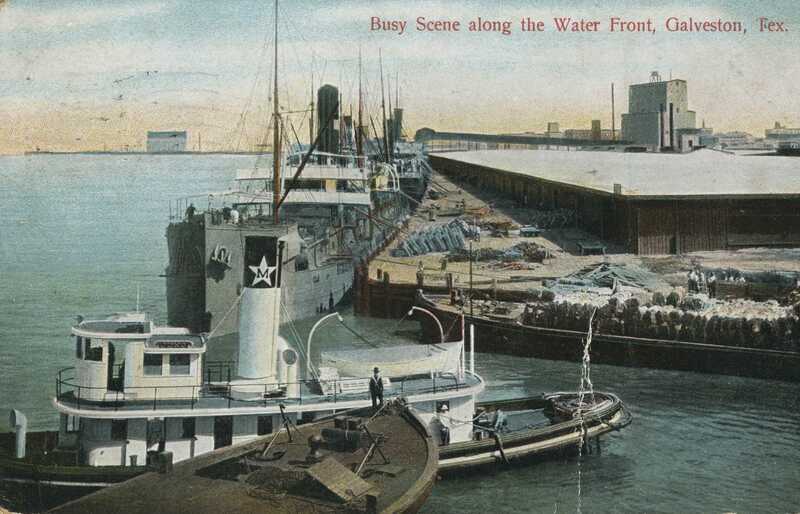 Guests can see Seaside City: Maritime Galveston: Historic Postcards and Paintings from the Rosenberg Library’s Collection as part of ArtWalk at The Tremont House, 2300 Ship’s Mechanic Row, on Saturday, Oct. 10 from 6 – 9 pm. Seaside City will feature color postcards and paintings pertaining to Galveston as a maritime city with a focus on ships and boats; harbor and wharf scenes; “King Cotton”; commercial and sport fishing; passenger liners; and pleasure boats. The presentation will include postcards from the early 1900s to 1950s from the Forshey Collection. It will also display maritime themed paintings from the Rosenberg Library’s collection. Rocky and Sherrie Forshey donated more than 700 postcards of Galveston to The Galveston and Texas History Center at Rosenberg Library in February 2009. This is the second -presentation of-postcards from this collection that has been featured during ArtWalk. Guests at the exhibit will have the opportunity to purchase reproductions of some historic postcards and other images that are part of Rosenberg Library’s collection. Sales will benefit the Rosenberg Library. This is the second exhibit of a series from Rosenberg Library that will be held in conjunction with ArtWalk at The Tremont House. The next ArtWalk is scheduled on Nov. 28. Rosenberg Library, located at 23rd and Sealy, suffered extensive damage from Hurricane Ike. The Library is currently serving the public as it continues to rebuild. To make donations toward the recovery of Rosenberg Library visit www.Rosenberg-Library.org or call (409) 763-8854. The Tremont House, a Wyndham Historic Hotel and National Trust Historic Hotel of America, is owned by Galveston preservationists Cynthia and George Mitchell and part of Mitchell Historic Properties. For information call (409) 763-0300, (800) WYNDHAM, or visit http://www.wyndhamtremonthouse.com. Wyndham Hotels and Resorts, LLC and its affiliates, subsidiaries of Wyndham Worldwide Corporation (NYSE: WYN), offer upscale hotel and resort accommodations throughout the United States, Europe, Canada, Mexico, China and the Caribbean. All hotels are either franchised or managed by Wyndham Hotels and Resorts, LLC or an affiliate. For additional information or to make a reservation, go to www.wyndham.com. 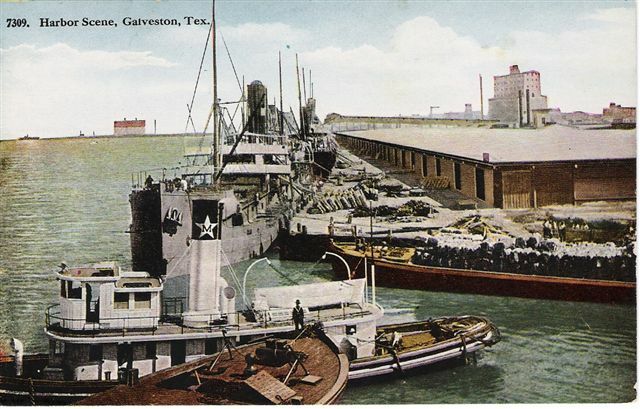 This historic postcard and others will be included Seaside City: Galveston, Texas: Historic Postcards and Paintings from the Rosenberg Library’s Collection as part of ArtWalk at The Tremont House, 2300 Ship’s Mechanic Row, on Saturday, Oct. 10 from 6 – 9 pm. This historic postcard will be presented as part of Seaside City: Galveston, TX: Historic Postcards and Paintings from Rosenberg Librarys Collection. Credit: Courtesy of Rosenberg Library, Galveston, TX.